A (more or less) Caucasian man shoots an unarmed but physically intimidating black teenager to death. The Caucasian has no record of prior violence; the teenager may or may not have one. The Caucasian claims self-defense, and, in the presence of reasonable doubt, is acquitted by the legal system. Furor, protests, and riots ensue. Loudly-voiced opinions abound, but it may never be completely certain what happened to cause the deaths of Trayvon Martin and Michael Brown Jr.. 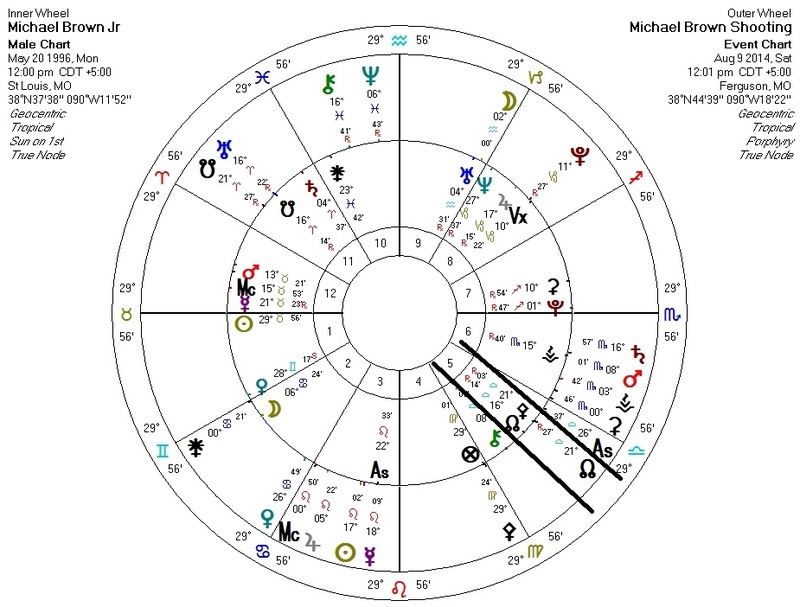 When someone who isn't a killer by trade kills another (or him/herself), it's basically a given that transiting Pluto is affecting natal or progressed Pallas on that person's chart. 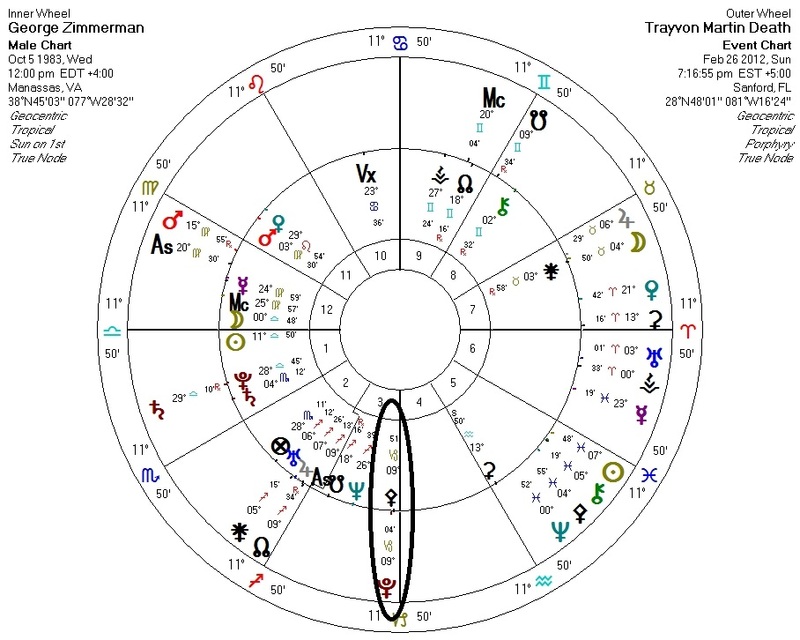 This transit corresponds with an ethical crisis in the life of the chart native in which the native faces a fateful ethical choice and/or a period of challenged or impaired judgment. This is the case with both the charts of George Zimmerman (killer of Trayvon Martin) and Darren Wilson (killer of Michael Brown). This is nothing new for readers of this blog. 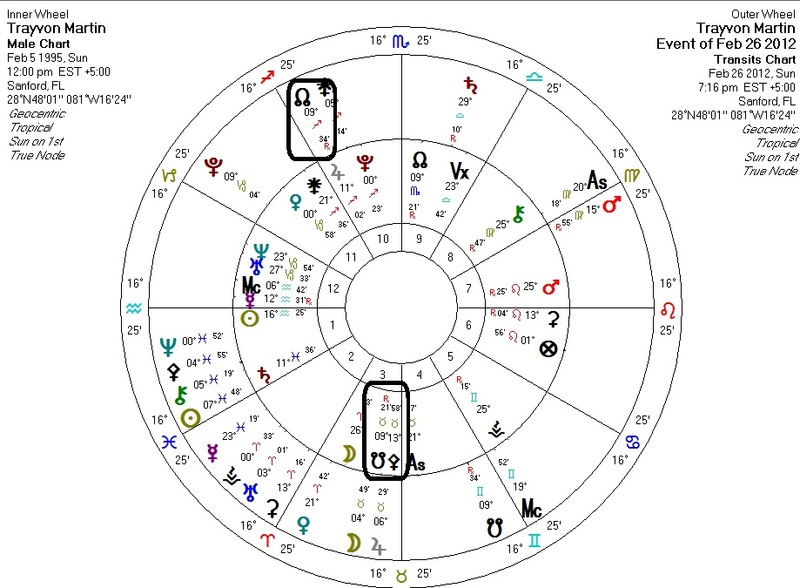 Here's the part that's still a mystery to me: the transits for the deceased. Both Martin and Brown were undergoing a North Node transit to a natal Node/Pallas conjunction. 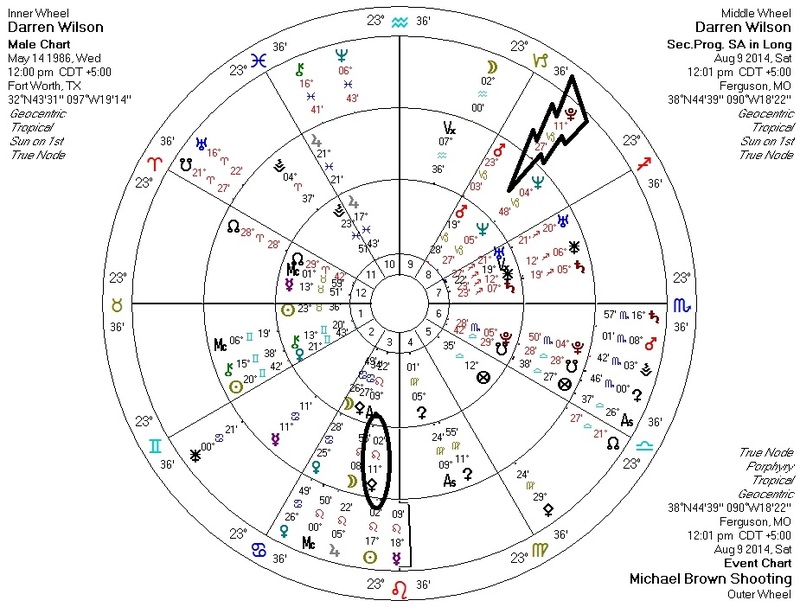 These transits suggest some kind of activation of Pallas (ethics, aggression vs. non-aggression) that may be karmic in nature (the Nodes). They also hint that Pallas may not only be crucial for the initiators of lethal force but for their recipients as well. Thanks to an anonymous reader for letting me know that some Wilson/Brown birth data were recently made available.